Instagram Stories shows no sign of slowing down. The company, owned by Facebook, announced on Thursday that more than 400 million people use the popular feature each day, up from 250 million one year ago. That makes Stories more than twice as popular as Snapchat, which saw 191 million active users in the last quarter, according to the most recent earnings report from parent company Snap (SNAP). When Instagram launched Stories in 2016, many saw it as a clone of Snapchat. In addition to sharing photos and videos that disappear after 24 hours, Stories lets users add Snapchat-like filters that add things like flower crowns and bunny ears to posts. It didn't take long for Snapchat's lead over Facebook (FB) to disappear. Within eight months, Instagram Stories surpassed Snapchat's daily active user count. Instagram continues adding features, such the ability to add GIFs and mention friends in posts. Not to be outdone, Snapchat added those features, too. Overall, Instagram has 1 billion monthly active users. The platform has provided a bright spot for Facebook (FB) amid the controversy of the Cambridge Analytica scandal, which raised questions over how it handles user privacy. The political data firm, based in the U.K, havested the personal data of tens of millions of people, prompting widespread condemnation and calls for greater oversight of Facebook. 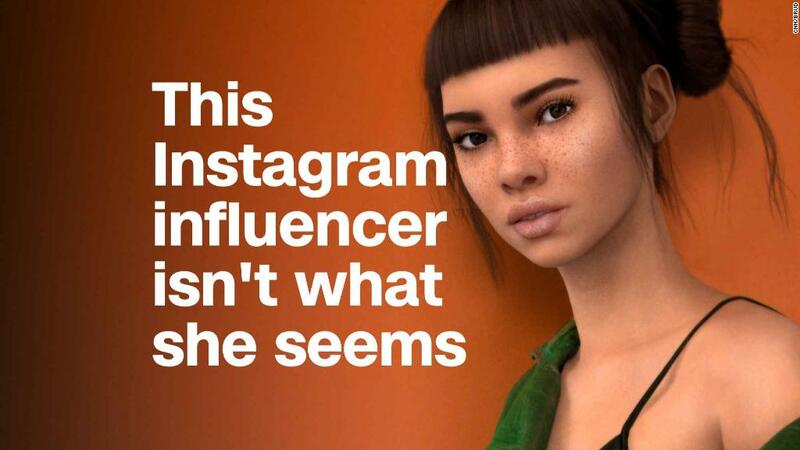 If Instagram were its own company, it would be worth over $100 billion, according to data estimates released by Bloomberg Intelligence this week. Facebook bought the app for $1 billion in 2012. 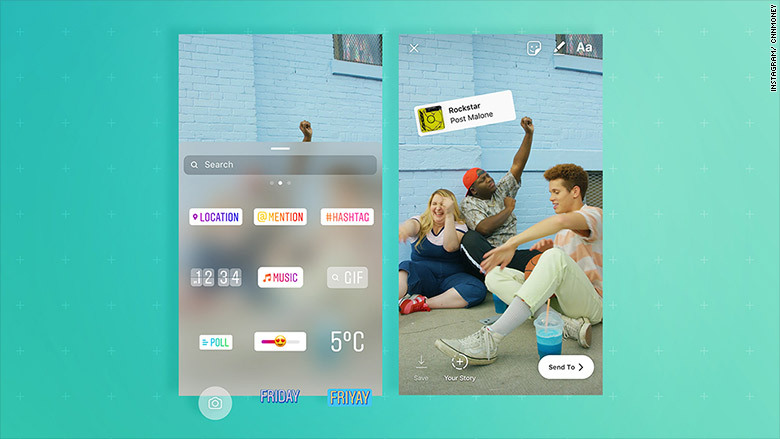 Instagram announced another feature on Thursday: the ability to add music to photos or videos on Instagram Stories. Simply tap the sticker button, choose the music option, and search for a song. Voila! A soundtrack. That addition comes 10 days after Instagram unveiled IGTV, a hub for long-form, vertical video. Anyone can post to IGTV, but they're limited to 10-minute videos. Users with 10,000 followers or more can share videos as long as an hour. Analysts have compared it to YouTube, Google's video platform.